An 1,500-year-old underground church has been discovered in Turkey with never-before-seen frescoes depicting Jesus and “bad souls being killed”. The church was found in the world’s largest known underground city in the Cappadocia region of central Turkey. The frescoes have been described as depicting Jesus rising into the sky – known in Christianity as the Ascension – and the destroying of evil – known as the Last Judgement. The discovery of the church itself – which archaeologists suggest could be more than 1,500 years old – still has secrets to be revealed, as so far only the roof and uppermost part of the walls have been uncovered. An urban housing project was taking place in the city of Nevşehir, where the church was found. It is part of a huge number of early dwellings, which form the largest known ancient underground city. The underground city itself was discovered in 2014, and around four miles of tunnels have been uncovered. The experts believe people lived here around 5,000 years ago. Archaeologists have had to pause their excavations, however, as the winter humidity can damage the paintings. However, they have managed to reveal the ceiling of the structure which mainly sits underground, and were fascinated by the huge frescoes which can be found across the inside of the roof and top of the walls. 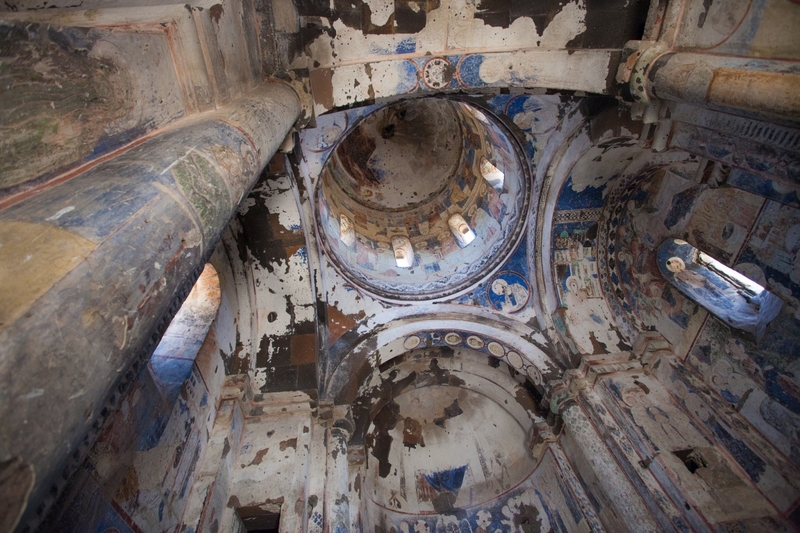 “We know that such frescoes have so far never been seen in any other church,” said Hasan Ünver, mayor of Nevşehir. “It was built underground and has original frescoes that have survived to this day. This place is even bigger than the other historical churches in Cappadocia. The Aleppo Codex, the oldest surviving copy of the Hebrew Bible that some experts believe all versions of the Old Testament stem from, has been recognized by UNESCO as an important world treasure. I24News reported that the United Nations Educational, Scientific and Cultural Organization added the millennium-old Codex earlier this week to its International Memory of the World Register, which honors some of the most important discoveries relating to human history. Amir Ganor, director of the unit for the prevention of antiquities robbery in the Israeli Antiquities Authority, shows a document, thought to be an ancient text written on papyrus, at Jerusalem Magistrates Court May 6, 2009. According to the Israeli Antiquities Authority, the document is written in ancient Hebrew script, which is characteristic of the Second Temple period and the first and second centuries CE. This style of writing is primarily known from the Dead Sea scrolls and various inscriptions that occur on ossuaries and coffins. It was seized from two men suspected to be antiquities robbers in an elaborate undercover operation. The Codex is believed to have been written somewhere around the year 930 in the town of Tiberias on the shores of the Sea of Galilee. It has been moved around through several different cities, and as many as 190 pages are missing from the surviving copy, though scholars disagree where and when they were lost. It was smuggled out of Syria and arrived in Israel in 1958, before it was eventually moved to the Israel Museum in the mid-1980s. It is also not clear who precisely owns the Codex, though filmmaker Avi Dabach, who is planning to make a documentary about the ancient manuscript, believes that it belongs to the Jewish community that fled Syria. “In the 1960s the Aleppo-Jewish community sued the people who brought the Codex to Israel. … The Israeli Authorities decided to confiscate this item and then, from a position of strength, force on the community an arrangement,” Dabach has said. Although the Aleppo Codex is considered the oldest copy of the Hebrew Old Testament, there are much older fragments of biblical manuscripts in existence, such as the 2,000-year-old Dead Sea scrolls. . . Sometime between 300-400B.C., an unknown artist in Morgantina, Italy carefully sculpted this terra-cotta replica of the famed god of the Underworld, the feared Hades. The skull or head itself was carefully sculpted on its own, and later the curly hair and beard were individually added, one curl at a time, just before the final firing in the kiln. Afterwards, it was carefully painted, and some parts of the paint remain such as the red in his hair and the blue in his beard. This beautiful artifact is an amazingly well-preserved momento of painstaking artistry. 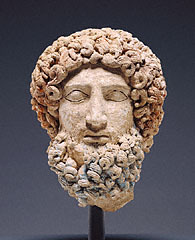 The piece goes by both the name “Head of Hades” and “Bluebeard” and was illegally excavated from an Italian archaeological dig during the 1970s. Afterwards it was sold and ended up at the Getty Museum in the USA. According to the Getty Website, the work was initially believed to be a depiction of Hades’ brother, Zeus (known occasionally as Bluebeard). However, examination of the nearby discovered artifacts and the knowledge that Morgantina worshipped Persephone (kidnapped wife of Hades), they now believe it is actually Hades instead. The kidnapping of Persephone is thought to have occurred at a lake near the city. Long story short, because the work was illegally excavated, it technically still belongs to Italy and was stolen property, meaning the Getty had to repatriate the bust to its nation of origin. 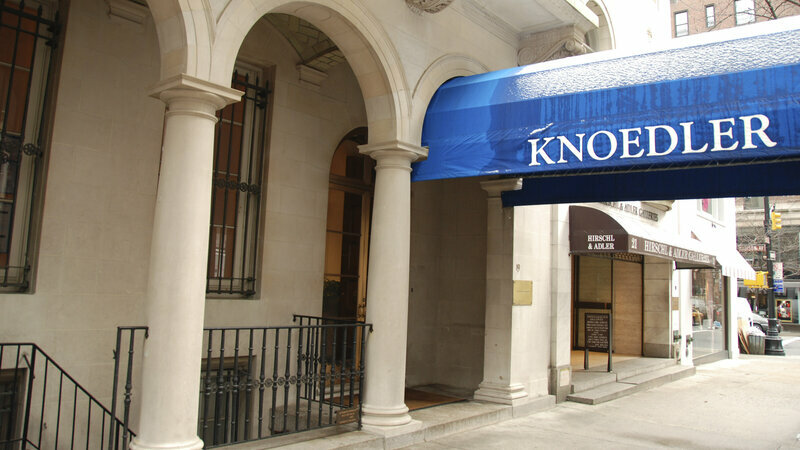 Although the legal exchange happened a couple years ago, the official trade occurred recently when Italian officials arrived to take over possession. One of the interesting notes to me is the fact that the Getty has owned this work since 1985 according to their own website. It is unclear why this is only being repatriated now. Either way, the work is finally home as Hades returns to his royal lands, protecting the good and punishing the wicked as they pass into his deadly realm. Italy’s culture ministry has appointed 20 new directors to manage some of its top museums, including Florence’s Uffizi Gallery, with a number of foreigners brought in to revamp the way the country’s vast heritage is presented to the public. Fourteen art historians, four archaeologists, one cultural manager and a museum specialist make up the new directors, who will be at the forefront of cultural reform in Italy. The majority have international backgrounds and half are women, although the culture minister, Dario Franceschini, said nationality and gender had no influence on Tuesday’s appointments. Beyond daily museum management, each director will be tasked with coming up with innovative cultural programmes and impressing both local and international visitors. The new bosses will also need to bring a creative flair to financing, making way for alternative funding models such as philanthropic donations in the face of tight government budgets.